I was away last weekend so haven’t been out in the garden much so not a whole lot to tell I’m afraid. It’s hardly news but I did run out of potatoes stored in the shed so opened the clamp in the vegetable garden. Some of you may remember Niall and myself made a ‘clamp’ in October which is a traditional way of storing potatoes by burying a large pile under a layer of straw and soil. Though I didn’t admit it when we made a video of our endevours I had never actually done it before (what’s new) but I am delighted to inform you it works a treat! My taters seem to be perfectly preserved in their straw and soil mound, the only issue now is eating them all before they sprout. Well, actually, here’s something you might like: unusually for me I found myself in not one, but two fancy restaurants at the weekend (it was the Mammy’s birthday) both of which presented me with pea shoots perched on top of my dinner. It got me thinking about the edible parts of plants we don’t usually eat but which make interesting additions in the kitchen. 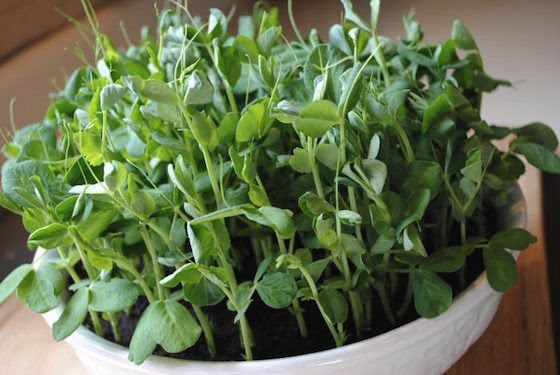 Pea shoots are great and can be grown at this time of year (which is why they were on my plate, seasonal local ingredients and all that), they have a mild pea flavour and look bouncy and fresh with their delicate leaves and stems. You can sow them thickly in pots or seed trays; they germinate quickly and easily and can be ready to eat in as little as 3 weeks. Harvest by pinching off the pea shoots just above the bottom leaves. You can grow peas shoots from seed packs but (and Niall will kill me for saying this) it is much cheaper to buy a box of dried peas in the supermarket, soak them overnight and away you go. I am a big fan of edible flowers as not only do they add a splash of colour and make your plate look special, they can also provide some interesting flavors. Flowers are also our friends in the vegetable plot as they attract insect predators which keep aphid populations down and generally make our garden a more complete eco system. The fact that you can also use flowers in the kitchen makes mixing them with your vegetables both a practical and a tasty solution. Borage – Bright blue flowers (the ones in the header image) which look beautiful used in a salad but also often used to smarten up Summer drinks. Chive and Garlic Chive – Both have a robust onion flavour, the purple chive flowers are stronger. I find chive flowers delicious especially as the fuzzy petals make a great vehicle for holding salad dressing. Courgette Flowers – The large yellow flowers of the courgette are quite common in cooking, I am sure you have seen them done in a tempura batter but they can also be used raw. They taste like courgettes but with a milder flavour. French Marigold – French marigolds are very effective grown among tomatoes as their scent seems to repel aphids. 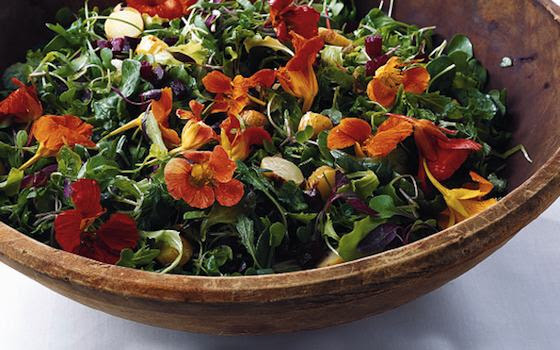 Their petals also have a mild citrus flavour and make an excellent garnish sprinkled on your salad. Nasturtiums – Nasturtiums are a popular companion plant for attracting insects but are also one of the most versatile edible flowers. You can use the flowers and leaves which have a peppery flavour and even use the unripe seeds as a substitute for capers by pickling them in jars of vinegar. Pea Flowers – I have already mentioned pea shoots but pea flowers can also be eaten, they have a mild pea flavour like the shoots and look exceptionally pretty on the plate. Oriental Salads – Oriental salads like mustard and rocket will run to seed in the Summer so more suited to Autumn planting unless you want to eat the flowers. Any of these brassica salads will flower in Summer with colors varying from white (rocket) to pale yellow (mustard), they all have a mild peppery taste. I have included below a selection of our raised flower beds just to show you how one of your garden beds could become a haven for both beneficial insects and your taste buds. For any bees reading this, I stuck the flowers in the beds using photoshop so don’t come over just yet. 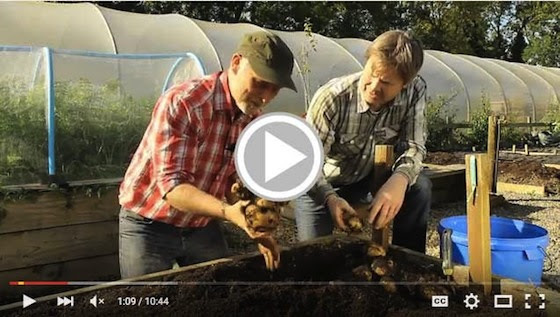 Our fabulous new social media and gardening guru Tony has written a couple of helpful blog posts this week on soil types which you might find useful. I include the link to our blog as always below.